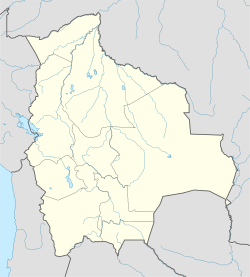 La Paz Municipality is the caipital municipality (sección municipal capital) an ane o the five municipalities o the Pedro Domingo Murillo Province in the La Paz Depairtment in Bolivie. Its seat is La Paz. La Paz zoo "Vesty Pakos Sofra" wi an aurie o 22.4 ha, the lairgest zoo in Bolivie, the seicont lairgest in Sooth Americae an the heichest in the warld. This page wis last eeditit on 11 Mairch 2018, at 01:30.